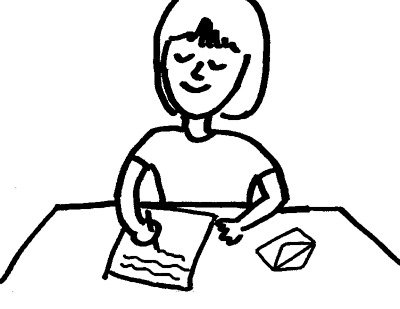 For each of the two workshops this semester, you will read your classmates' work and write a letter to each classmate. These letters are what your classmates will use when they revise their work for their final submissions. 1. An introductory paragraph that provides a summary of the dominant impression that the essay leaves (see the Catherine Ramsdell reading in Week One for a discussion of "dominant impression." 2. A second paragraph that points out specific areas where the author has done well at using the elements of time and space to convey that dominant impression. 3. A third paragraph that identifies areas that were confusing or that could be strengthened to help reinforce the dominant impression. 4. A closing that summarizes the specific recommendations that you make for the author as they revise (based on principles from the class readings and pointing to areas in those readings that the author should review to study those principles). Submit the letter to your peer by the date of our class workshop (these days and times will be posted in the Workshops area of the course website as soon as they are created). The letter should be written in Google Docs and shared with the peer and with Dr. Harris. Late letter submissions will not earn credit.